Located in the city of La Puente, Performance enjoys the many sunny Southern California days that our shop has seen in our over 21 years as a business in the greater Los Angeles-area. Founded in 1994, our shop boasts 3 service bays complete with hydraulic lifts and an extensive complement of high quality tools and parts at our technicians disposal. He has more than 25 years of hands on experience with cars, trucks, vans, SUVs and hybrid vehicles. When he’s not in the shop expertly repairing customers’ vehicles, he loves to head out to the forests for weekends of camping and hiking with his family,going to the gym and riding his motorcycle on the weekends. Javier is also a sucker for the TV series “Pawn Stars”, the movie “Riddick”. We are proud to be a “AAA Approved Auto Repair Center” and have held this honor since 2009. We also received a 100% Customer Satisfaction rating from AAA in 2010 and 2011, further demonstrating our commitment to customer satisfaction and excellent workmanship. Read our acceptance story here. When we joined the NAPA AutoCare family, our aim was to instill a greater sense of confidence in our customers trusting us with their vehicles. Just about anyone can open a auto repair shop. Not just anyone can become a NAPA AutoCare Center. NAPA AutoCare Centers are built around a quality standard where independent repair business owners are invited to join based on integrity, qualifications and expertise. With NAPA AutoCare and Performance Automotive together, you are sure you will get the best in class service that you and your vehicle deserve. 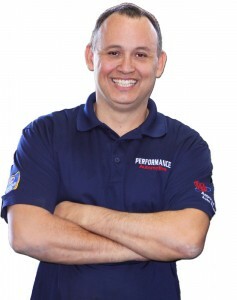 Performance Automotive, a NAPA AutoCare Center.